Africa’s businessman, Mr Aliko Dangote, has pledged to invest the sum of $100 million for the fight against malnutrition in the worst-affected parts of Nigeria. Mr Dangote made this disclosure at the recently concluded Global Nutrition Summit 2017 held in Milan, Italy. During the programme, governments, international agencies, foundations, civil society organisations and businesses gathered to accelerate the global response to malnutrition, an underlying cause of nearly half of all global child deaths. 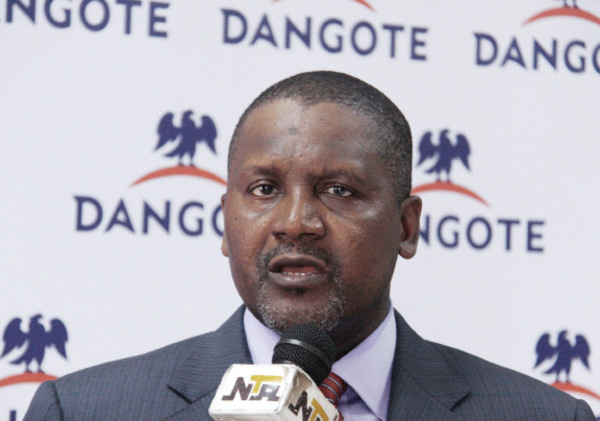 The investment would be done through the Aliko Dangote Foundation, a philanthropic organization of Mr Aliko Dangote, founder and Executive Chairman of the Dangote Group, Africa’s largest homegrown conglomerate. The Global Nutrition Summit is the global forum of the United Nations Decade of Action on Nutrition. This year’s edition was held in close partnership with a number of international stakeholders including the UK’s Department for International Development, the World Health Organization, the Food and Agriculture Organization of the United Nations, the Bill & Melinda Gates Foundation and the International Coalition on Advocacy for Nutrition. The governments of Ethiopia, Ivory Coast, Burkina Faso and Zambia all made commitments to expand their nutrition programmes and the Summit succeeded in galvanizing $3.4 billion according to the organisers. The Global Nutrition Report 2017, launched at the Summit, showed that, in spite of progress, 155 million children globally are still stunted and the world is off track on meeting internationally agreed nutrition targets. Financing to tackle malnutrition has been alarmingly low. Donors spend about 0.5 percent of overseas aid on nutrition, and countries allocate between one and two percent of their health budgets to the issue. Through his Foundation, since 1993, Aliko Dangote has made significant social investments in health, education, economic empowerment and disaster relief. He is now becoming the strongest voice for nutritional leadership nationally and on the continent of Africa. By making this unprecedented US$100 Million commitment, the Aliko Dangote Foundation is on a mission to reduce the prevalence of undernutrition by 60 percent in the most needy areas of Nigeria, specifically the North East and North West, where malnutrition has affected millions of lives and crippled the local economy. Malnutrition affects every country in the world in various forms, however Africa is particularly hard hit and Nigeria is home to the highest numbers of malnourished children. Almost half of the one million children who die before the age of five every year in Nigeria, die of malnutrition as the underlying cause. Without the proper nutrients during the first 1,000 days of life starting from conception up to their second birthday, children are less likely to survive childhood diseases such as malaria and pneumonia, and are less likely to escape poverty as adults. They become physically and cognitively stunted, a fate that has befallen 11 million of Nigeria’s children under five.